thing happened, I started to see Christabel in many faces of the women I know. Out in the Yoretime Spiral, on the very first row, Vendor’s Row, there lives a young florist. Her name is Christabel. Christabel is known for her lovely flower arrangements that she makes from the plants and flowers that she grows in her own greenhouse. When one walks past Christabel’s Floral Shoppe the aroma is like a sweet slice of heaven. Christabel is a beautiful young lady. She has long dark hair, blue eyes, and a soft smile. For three years Christabel was married to a fine young man. His job in the Spiral was to build the bridges over WaterWay Row and the spiraling stone pathway that connects one row to the other. Unfortunately, Christabel’s beloved husband, Seth, became ill two winters ago and went on to the Summerlands of the Heavens. 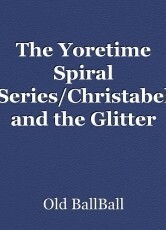 When Seth left the Yoretime Spiral he left Christabel all alone without even children to keep her company. For the last two years, Christabel had spent many a night in grief and many a day nurturing her lovely plants as if they were her children. Other than that, Christabel had pretty much become a hermit. Living all alone and keeping to herself. Lately, Christabel had been feeling that the time for grieving was ending and though she would never forget Seth, that it was time for her to live again. Maybe it was time to change her hermit way of life and maybe even find a husband and have some children that she so desired. One autumn morning, in the very wee hours of that morning, Christabel sat at her kitchen table thinking many things over. She had so many questions within her. How could she go about finding a proper husband? A man that was kind and would give as well as receive love. A man that would want a wife and children. 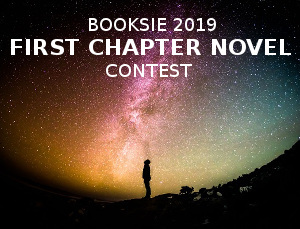 As Christabel sat looking out over the still darkened stone pathway a vision of the Wish Me Well Palace and it’s falling stars that when caught you could whisper a wish onto it and send it right back up to heaven with your wish, kept coming to her mind. Suddenly Christabel jumped up and dashed out of her cottage in her house dress and slippers. She just had to make it to the Wish Me Well Palace before the stars returned to the heavens for the day. She had to take a chance at catching that one last stray star that tumbled from the sky. Finally, Christabel made it to the grounds of the Wish Me Well Palace. She stood there on the grounds with her face to the sky, waiting. And just when it seemed that the stars were ready to go and make way for La Soleil, the Sun, one lone star fell in a brilliant display of multi-colored light. Christabel raced over to the falling star and caught it gently in her hands. She whispered her wish for a good husband and children onto it, then took the glowing star and placed it into the trunk that was glowing brightly with the stars that was already within it. As Christabel approached the trunk she saw a figure standing there in the dark. When the creature turned to her she saw that it was the tiny peasant girl Queen of the Wish Me Well Palace herself, Annabelle. Annabelle was there to gather the stars with the wishes upon them and set them back into the heavens where the wishes they carried with them would be decided upon by the great Source of All. “And what is it that you so desire?” asked Annabelle as turned her full gaze on her, inviting her to look deeper and deeper still. “You know Christabel, love can be a tricky wish. Love is one of those things that one doesn’t just fall into. Love is a state of being that one must work at. Love is something that needs hope, faith, and charity to carry it through the hard times and make the good times shine. Are you prepared to work for what you want?” asked Annabelle. “Yes, I believe I am,” said Christabel. “Well then place your star in my basket first and it will be the first to be decided upon by the Source of All.” said Annabelle. Christabel placed her star in Annabelle’s basket and as is custom, wished Annabelle well. Annabelle in turn wished Christabel well. As Christabel was winding her way back to her cottage that early autumn morning the Sun was just beginning to wake up. The skies were a lovely shade of pink and yellow. When Christabel, turned the corner that led from Artista Row into CareKeep Row she saw a huge winged figure standing right in front of the Cherub Care Palace. As she drew closer Christabel saw that it was a beautiful angel. This angel had flowing blonde hair, blue eyes, and was dressed in a lavender gown. On her iridescent wings in purple stardust was the word “HOPE”. “Christabel, do not be afraid. I am the Angel Hope and I have been sent here by the Source of All to give you a message and a gift,” said the Angel. Christabel placed her hands in the hands of the Angel Hope and at once saw a vision. It was a vision of when she was but a mere child playing in the forests of Forestree Row. She saw her child self skipping through the forest, sunlight dappling through the trees. Then she saw her child self stop and look to the skies. A sense of well being flooded through her. A sense of being in just the right place at just the right time. Christabel’s heart was filled up with the heart of the child that she once was. The child that believed anything was possible. When the Angel Hope released Christabels’ hands she was returned from the vision to CareKeep Row. The Angel Hope handed Christabel a small purple pouch and said, “Inside is a tiny seed. You must go home at once and plant this seed of hope so that it will flourish. Plant it in a large plot of soil so it has space to spread itself out and grow strong and tall.” And with that, the Angel Hope was gone in a flash of fluttery wings and purple stardust. Christabel hurried on to her cottage. Just as Christabel was turning onto Agri Row from CareKeep Row, again a huge winged creature was standing right in front of the TyRob Farms. Again, it was an angel. This angel was dark haired, dark eyed, and her dress was light blue. On her wings engraved in the silver of the clouds of heaven was the word “FAITH”. Once again Christabel saw herself as the maiden. She stood right in this very same spot with stars in her eyes. She had such dreams of the day her shining Prince would come from afar and sweep her away to some grand Spiral Palace. Instead what came was a humble young farmer with a vision of a pathway of stones. He was her beloved Seth. He was such a gentleman that he is the one that brought her the roses, the handkerchief of fine lace, and the sweetest of chocolates. Seth didn’t sweep Christabel off to a Palace in the sky, but he offered true and stable love. A love and friendship that lasted all the years of their marriage. When the Angel Faith let go of Christabel’s hands she was returned to Agri Row. The Angel Faith pulled a small silver pouch from the folds of her cape and told Christabel that she must hurry home at once and plant the tiny seed within the pouch alongside the seed of hope. Faith instructed her to plant both seeds together in a large plot of fertile soil so that what was within could flourish and grow. And with that the Angel Faith was gone in a shimmery flutter of silver wings and light blue stardust. Christabel hurried along her way back to her cottage. As Christabel turned onto Trader’s Row from Agri Row it again surprised her to see yet another huge winged creature standing in front of the Cobbler’s Shoppe. This angel had flowing brown hair, soft brown eyes, and was dressed in a gown of pale yellow. She glowed as bright as the sun itself. On her wings, engraved in the very gold dust of the heavens was the word, “CHARITY”. Christabel placed her hands within the hands of the Angel Charity and at once saw a vision. This vision was not one of herself but that of the Yoretime Spiral Princesses, Maddie and Alexi. The sister Princesses were strolling through the Spiral, goodwill baskets in hand, leaving a tidbit of this and that at each doorstep or mailbox. Christabel watched the sisters chatter and giggle with the other citizens of Spiral. The girls were filled with joy at the task of giving. But as Christabel watched some more she saw that the citizens were just as giving with the Princesses as they were with them. The goodwill baskets were just as full going home to the Palace as they were coming from the Palace. Christabel realized that charity was about give and take. A job of joy. With a flutter of golden wings and a shimmer of gold dust the Angel Charity was gone. A much humbled Christabel, finally made it to her cottage. She sat down on her door step and thanked the Source of All for the Angels, for the sweet scent of her flowers, for the love of Seth, for the sister Princesses, for any little thing that came to mind. As she sat there it suddenly occurred to her that making wishes was one thing but putting action behind the wish was what was needed to launch it into being. She needed to have hope and to plant the seed of hope. She needed to have faith and to plant the seed of faith. She needed to have a heart full of charity and to plant the seed of charity. She also needed to get up because she felt that she had sat down on something. Sure enough, when Christabel got up a packet of seeds had been left on her doorstep by the sister Princesses. The packet was labeled “Happiness Seeds.” Inside the packet were seven little seeds of all different colors. Christabel, went into her green house and cleared out a large plot of soil for her seeds, just as the Angels had instructed. Christabel carefully planted each seed the Angels had given her. For good measure she also poured the packet of “Happiness Seeds” in with the others. She gently watered the seeds and made sure they would get the best sunlight needed for warmth and growth. Each day after Christabel planted the seeds of hope, faith, charity, and happiness she began to tenderly care for them. She walked to WaterWay Row each day to fetch only the finest, most clear of spring water for her seeds. She moved other plants aside to allow for the growth of the seeds. She made sure the temperature in the greenhouse was perfect for growth of new seedlings and that the seeds got the best sunlight. All through the season of Autumn Christabel inspected the plot for any signs of growth. She was not surprised to find nothing there. Autumn was the season for all growing things to prepare to rest. When the chilly winds of Winter blew through the Spiral, Christabel gathered leaves from her garden outside and tenderly covered the plot with them. This would help the seeds by keeping them warm and by fertilizing them. Then, come Spring, maybe growth would happen. With the Winter season Christabel found herself returning to her old ways of pining away for Seth and the children she felt cheated out of and returning to becoming a hermit. She left her cottage only to work at her Shoppe. Christabel knew that this was wrong and that she must take steps right away to change this behavior before it became habit. So one evening she forced herself outside into the Spiral and down to the Grand Park in the middle of Vendor’s Row. She watched the children skate, make snow angels, and occasionally launch a snowball at one another. Their laughter was like music to her and she found herself awakening to life again. Each day or evening after that Christabel went out to visit an old friend or attend a meeting or holiday gathering. When she would return home she would thank the Source of All for opening her eyes and heart to the life all around her. The act of trying, was heady medicine for the brokenhearted. “It’s what we call a corsage or a nosegay,” answered Christabel with a giggle. “Oh my nose happy now Christaboo!” exclaimed Maddie. “Christabel, these are so beautiful, will you teach me to make them so I can gift them to my teachers and friends?” asked Alexi. “I got an idea. Why don’t you girls stop by on Saturday afternoons and together we will make many fine gifts for many people?” said Christabel. It seemed like it was the longest Winter ever in the Spiral that year. Some folks were just plain tired of the snow and the cold but Christabel was grateful for it all. Even though there were times that Christabel was sad and felt lonely, her life was different. She was getting out visiting with old friends and making new friends as she went. She also found great comfort in spending time with the sister Princesses of Yoretime Spiral. Saturday afternoons were the light in her Winter time sky. And so it was that Springtime came winding it’s way into the Spiral. La Soleil, the Sun had come back into the sky and warmed the entire Spiral. The South Wind came and melted away all of the remaining snow and ice. There was new life being borne in all nine rows daily. Many of the citizens were outside tending to their gardens or chatting over a fence to one another. Christabel opened all the doors and windows in her greenhouse allowing fresh air and sunlight to flood it. She gently scooped away the leaves from the plot of soil that held her special seeds and inspected the area carefully. There was no new growth just yet but she was confident that soon a tender seedling would push it’s way through the earth. Each Spring day Christabel would hurry to her greenhouse with a pitcher of water from the springs of WaterWay Row and check her plot for new growth, but alas, nothing. This went on all through the season of Spring. One day near the beginning of summer, Maddie wandered into the greenhouse just as Christabel was inspecting the plot of soil that was still barren. “And this worked?” asked Christabel. “Oh it worked too good. Gardener still busy trying to get dandecats under control,” giggled Maddie. Princess Maddie and Christabel both sat on the floor beside the plot of soil and began talking to it. They talked to the plot of soil and each other most of the morning. The more they sat and talked the more carefree and joyful Christabel became. There was something freeing in being able to sit with a child, like a child, and just be. What Christabel and Maddie did not know is that their love and joy was winding it’s way into the soil and waking everyone of those seeds up. Underneath the soil they were bursting out of their shells and beginning their stretch to the surface of the soil. That afternoon, Christabel walked Maddie home to the Palace and indeed the Palace grounds were covered with the happy little yellow faces of Maddie’s dandecats. Maddie did not one time doubt that her dandecats would grow and bloom with a little chat from her. She was full of hope and faith and charity too as Christabel had received many a dandelion wreath and bouquet from Maddie that Spring. Instead of going straight back to her Shoppe and cottage, Christabel went for a walk through the stone pathway. She was thinking many thoughts. She was thinking of the seeds. She knew that no matter what she would care for them. It was an act of hope and faith. From this day forward, Christabel vowed that the seeds would no longer be a secret hidden in the greenhouse. She made plans right then to move the plot of soil outside to her garden and allow others to share the seeds with her. She would go to the Print Shoppe and have them design a poster that told people the story of the seeds and encourage them to “talk” to them. On Artista Row, Christabel saw an artist sitting in the shade of a tree painting a lovely picture of the Row. She stopped and sat beside him. He told her that his name was Coey. They struck a friendship up right then and there. Christabel found herself telling Coey the story of the seeds and the angels and asked him if he would consider designing a poster for her. They talked and planned until darkness began to fall on the Spiral. Together they strolled to the cottage arm in arm like old friends. At her cottage, Coey asked if he might stop by the next evening. The next morning Christabel went to the greenhouse to water the plot of soil and talk to the seeds within it. When she opened the door she took note of a definite change in the air. It was quieter, softer, gentler. And oddly enough, there was glitter of every known color spread in a path to the plot of soil. When she reached the plot of soil she saw that there were three golden sprouts peeking out of the soil as well as seven other multi-colored sprouts. At last the seeds of hope, faith, charity and happiness were growing! And what a spectacular sight they were! Christabel gently moved the new seedlings outside to her gardens where they could be seen and enjoyed by all. At the end of seven days these tiny little seeds grew into a magnificent tree. A one of kind. It’s bark was pure gold and it’s leaves were every color known to man. When it began to bear fruit, the fruit came on in little balls of silver and gold foil. When you peeled the foil away the inside was the sweetest chocolate. The citizens were awed and stunned by the tree. They often stood outside the fence of Christabel’s garden gazing at the tree and read the posters Coey had made. Christabel and Coey always made sure there were baskets of the tree’s fruit outside the fence for sharing. One day Maddie happened by and Christabel saw her standing outside the fence of the garden. This was unusual as Maddie usually came into the garden through the Shoppe. When Christabel approached Maddie she saw that she was deep in thought. “What’s on your mind this morning Miss Maddie?” asked Christabel. “Tree needs a name. Can’t just call it Tree. I named everyone of my dandecats. Took me a really long time, but I did it,” said Maddie. “Perfect!” exclaimed Christabel. And from then on Glitter Tree became widely known as one of the timeless beauties of the Spiral. People would come from all reaches of the Spiral to see Glitter Tree. They were all certainly surprised when at the Autumn season, Glitter Tree’s leaves turned bright glittery orange but never fell to the ground. Then at the Christmas season, Glitter Tree’s leaves turned red and green. At Easter, the leaves turned soft shades of pastels. And so it was that one year later, Christabel’s wish for a husband came to be. Coey and Christabel married under the golden branches and pink and white leaves of Glitter Tree. So many friends showed up to celebrate the new couple that Grand Park was opened to the overflow. The marriage between Christabel and Coey was just as Queen Annabelle predicted so long ago on the grounds of the Wish Me Well Palace. It was a marriage that saw many ups and downs but also a marriage that shone with love and endurance. Three years later and after many failed attempts at childbearing, Christabel finally found herself waddling along the stone pathway with her large belly. She felt very blessed to be waddling and giggled at what she thought she must look like. As she was waddling along she came upon the Princess Maddie who had become her dear friend. Maddie had grown so much in the last four years. She was becoming a raving beauty in her own right. Christabel sat down beside Maddie on a bench in front of the cobbler’s Shoppe and asked how she was. The years had straightened out Maddie’s speech but from time to time Maddie still mangled her words up just for the fun of it all. Christabel giggled and giggled until the first pains of labor hit her. “Maddie, quick fetch Coey! This baby is done growing and ready to meet the world!” cried Christabel. “Oh not funny Christaboo!” bellowed Maddie as she darted off to Coey’s Art Studio on Artista Row. As Christabel held her first child, a girl she named Hope in her arms she thought of all the things she had given life to inside herself. Things that are timeless but are much needed in life, like hope, faith, charity, and happiness. When all these things come together, even if it’s just for one moment in time, spectacular things can and do happen.